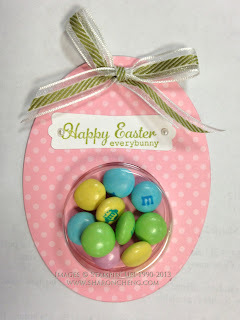 Of the ten projects shown here, this Easter basket is the most popular of my favorite Stampin' Up! Easter goodies. 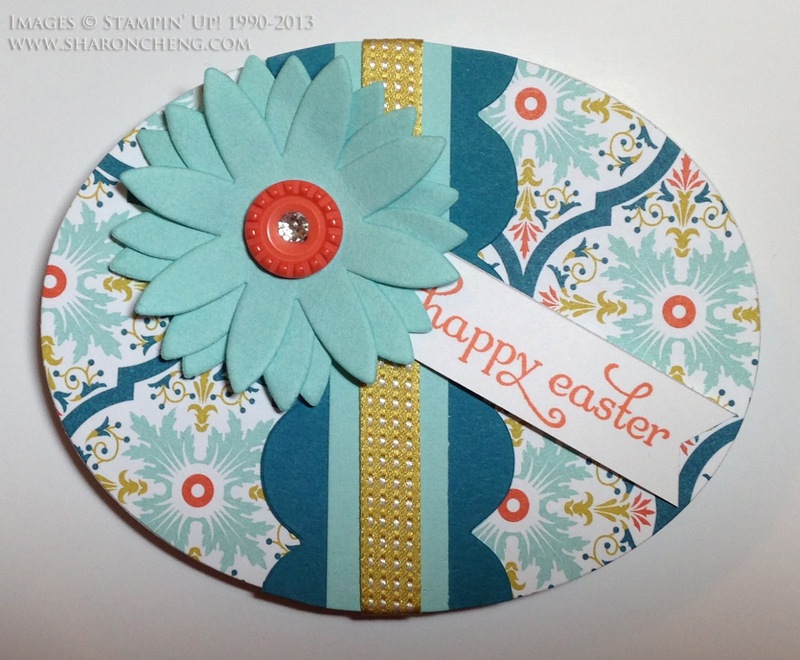 While this basket was originally made with a retired oval die, it can easily be adapted to fit Stampin' Up! 's new oval framelits. 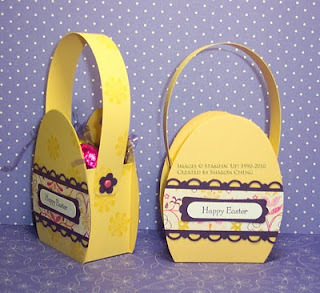 The tutorial shows you an easy way to make this basket. It will be even faster with Stampin' Up! 's Simply Scored tool (122334 $29.95). This Easter clothespin wreath has been repinned many times on Pinterest. 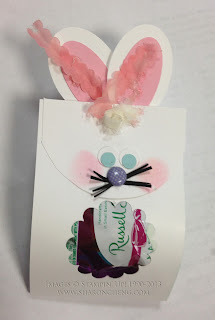 This was from a class that I taught where you used the same wreath and changed out some of the clothespins to fit Mother's Day and Spring. 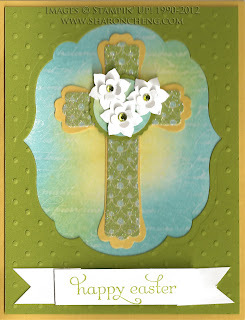 This is Easter Egg card has been another popular item on Pinterest. 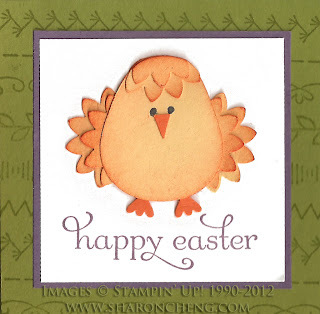 There is a mini tutorial to show you how to cut the egg-shaped card using Stampin' Up! 's Oval Framelits (129381 $26.95). 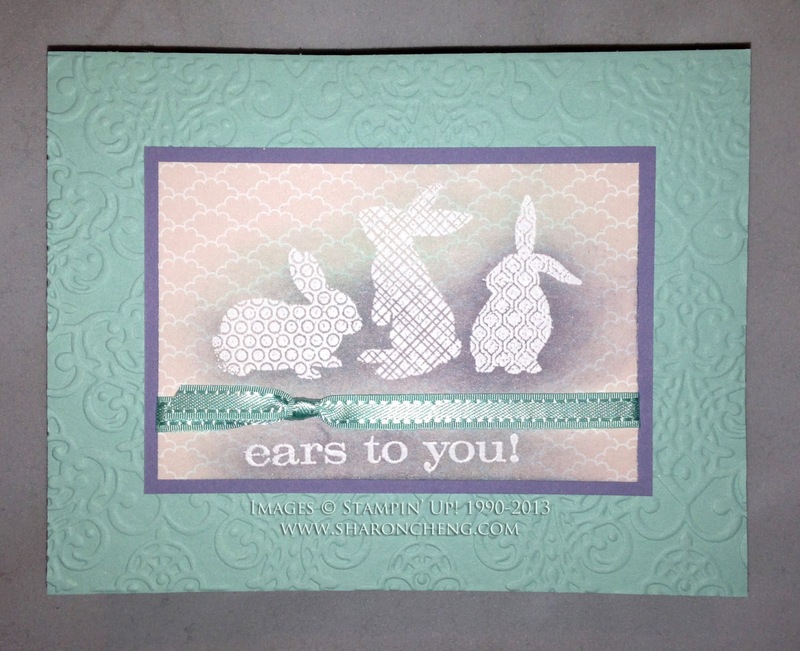 This Ears to You card has been another project that people enjoyed making because it is so quick and easy. 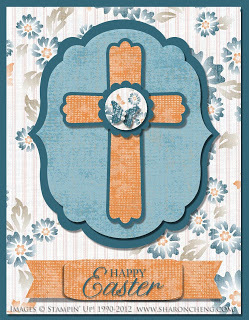 I made different versions of this punch art cross for Easter. 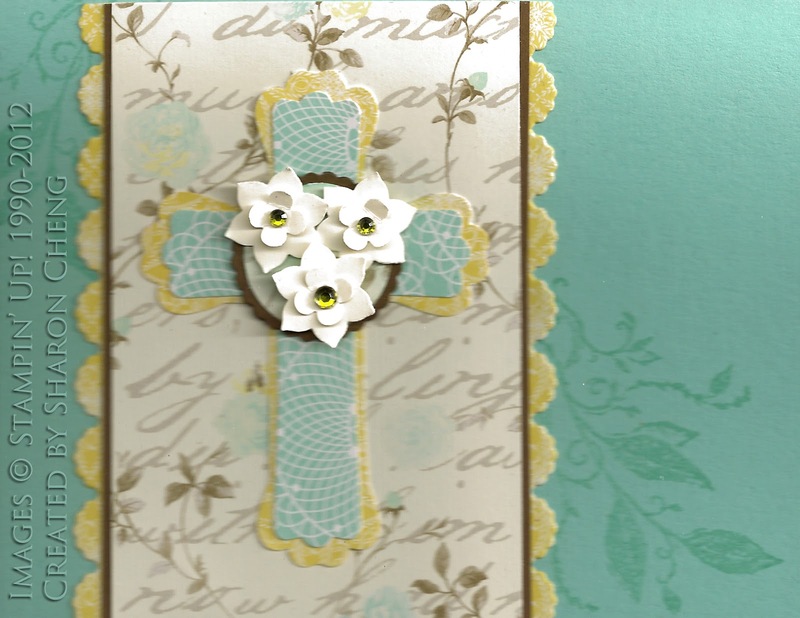 There is a tutorial to show you how I made the cross using the modern label punch and blossom punch. 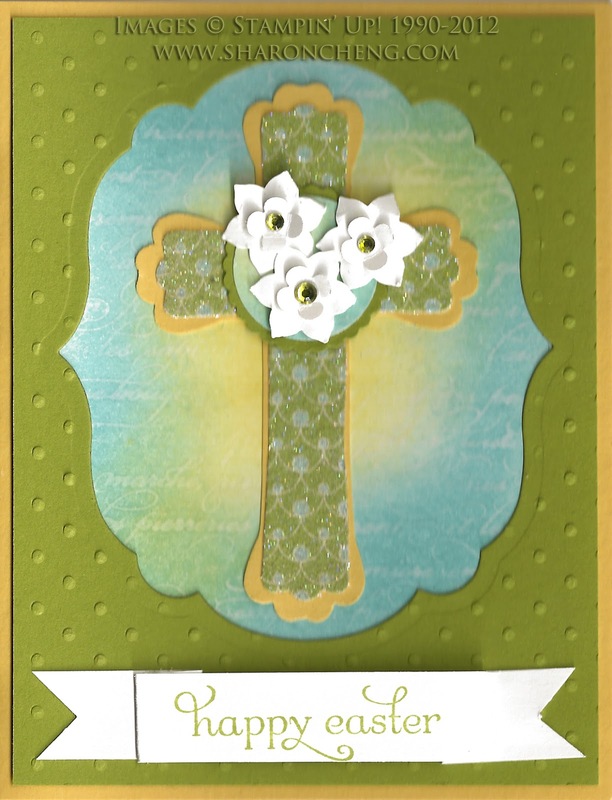 For My Digital Studio fans, here is the MDS version of the cross. With MDS dropping its price down to $19.95, there are a lot of new fans out there! 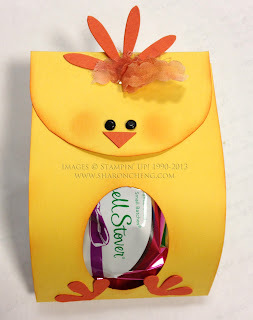 This little Easter Punch Art Chick makes me smile every time. You can tell that I'm biased toward punches and Big Shot dies when you see my collection of projects. That's because they make wonderful projects go quickly! 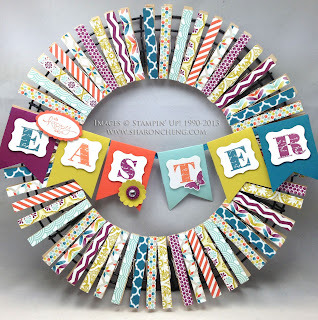 And now for some cute new Easter projects! 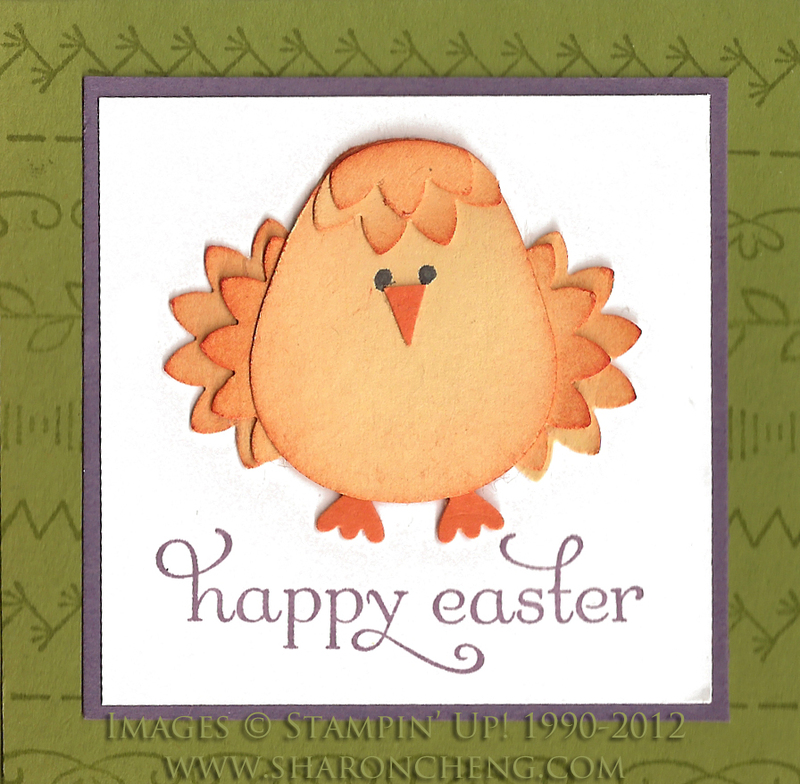 I'm blessed to be with a talented group of Stampin' Up! demonstrators. Here are some of the projects that one of my downlines, Janet Holmes. 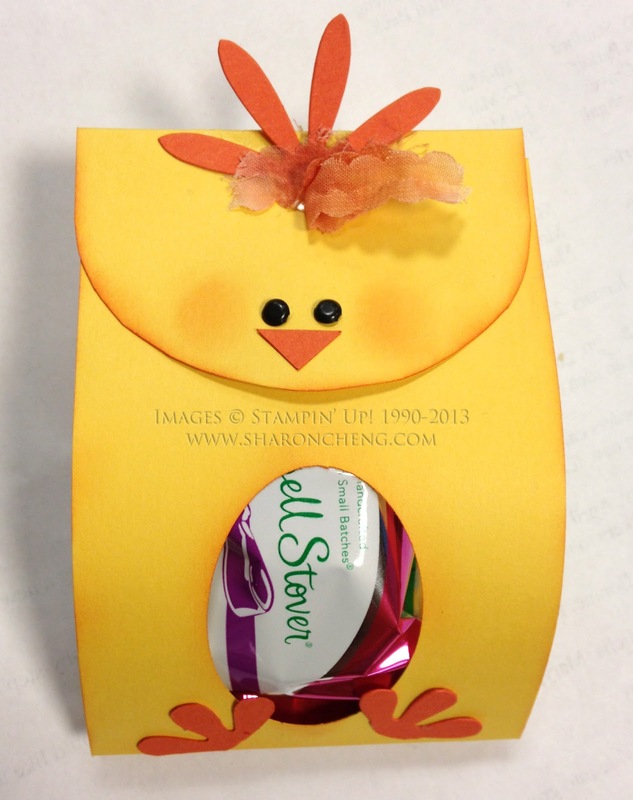 made for Easter. Notice the little bit of fluff added to the chick and bunny? She took apart some of the flower trim that we have and dyed it with our Stampin' Up! inks. It gives a fun bit of texture. Enjoy these ten Easter projects. I hope you are inspired to make some projects for your peeps.